Ashover Electrical - Electrician, PAT Testing based in Clay Cross, Derbyshire. 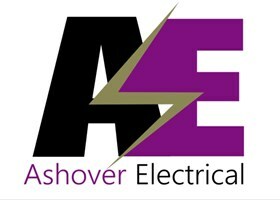 At Ashover Electrical we pride ourselves on being an efficient, Price competitive and friendly service. We have the knowledge and experience to provide a comprehensive electrical service in all areas whether it is domestic, commercial or industrial. Registered with Elecsa, and over ten years experience, if you are in need of electrical work and live in Chesterfield, Ashover, Matlock or the surrounding area then Ashover Electrical are here to help! Whether you would like a free quotation or just need a reliable electrician to carry out an installation, to upgrade your fuse board, or to carry out a full rewire, please contact us for more details. All types of electrical work undertaken in the Chesterfield, Matlock, Ashbourne, Alfreton and sounding areas. Please don't hesitate to call for a free estimate.